Medium Clutch with handle that combines three fabrics in an original way: navy blue denim fabric, blue and brown suede print and faux leather in brown. 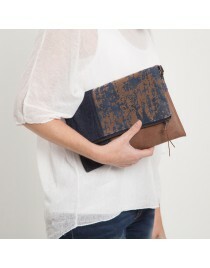 Medium bag style clutch, made in dark Blue and Brown denim fabric. Simple lines, practice and very light , designed to be worn over the shoulder or cross. 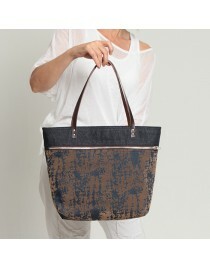 Denim shopper bag with zipper and brown leather handles. 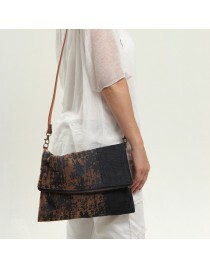 Large, combining handmade navy denim fabric with a pattern in brown suede.